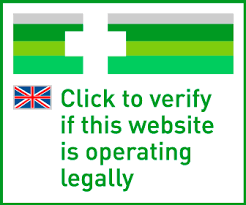 To provide the best possible service to our customers, we employ certified druggists who can provide professional advice in the event that a customer has doubts about a product or would like to receive some extra information. 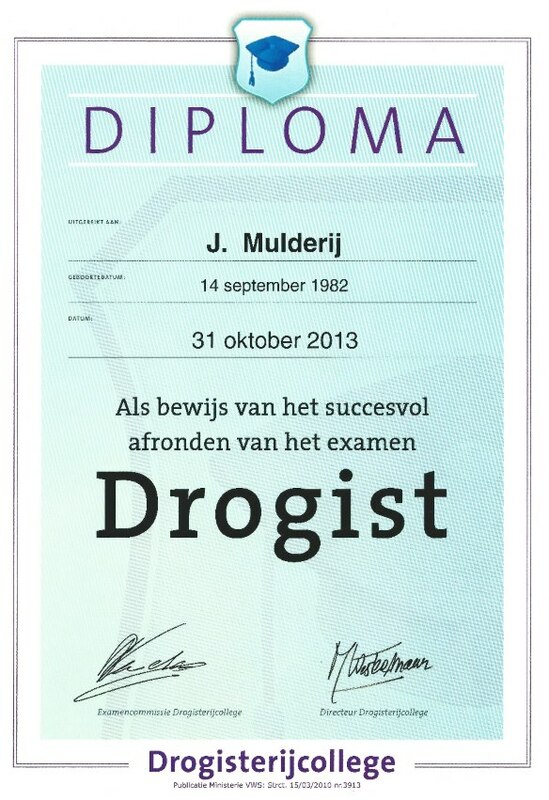 Our druggists are registered in the Netherlands and have a lot of experience and knowledge. They are happy to help! 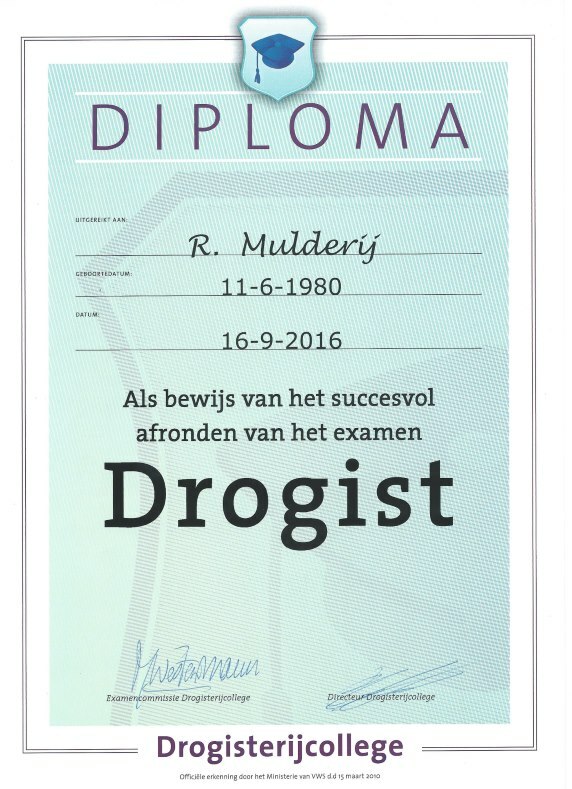 You can find more information about our druggists when you click on the relevant diploma. Rutger: "I am happy to help you by telephone if you have any questions!" If you want to know more about me, click on my diploma. Jim: "Chatten is often even easier that using the phone. I am happy to help!" Our druggist is available by phone from 9:00 AM to 5:00 PM. 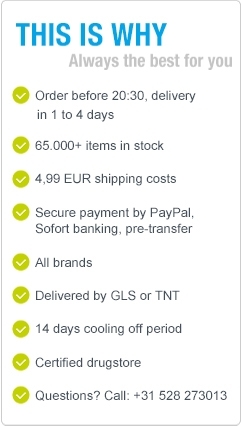 We are happy to help our customers with questions regarding orders and product information. Our chat is online on workdays from 9:00 AM to 12:30 PM, for everything about product information. And of course 24/7 accessibility via email. Email is answered within 24 hours and often much faster. At the weekend we are not always able to respond within 24 hours. Druggists have knowledge of supplements, self-help medicines (UAD), natural food, sports products and have a lot of experience in helping customers in a friendly way. We are happy to help you!